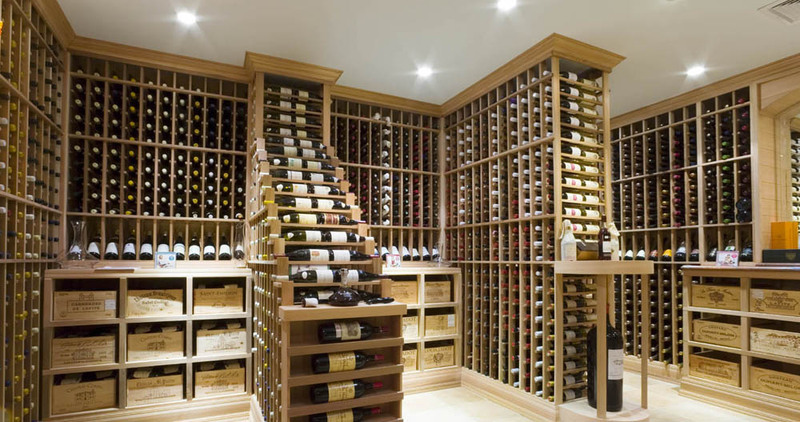 Regardless of whether you are just getting started with your collection, or you are a seasoned wine enthusiast it is always recommended that you build a space not based on your current collection, but on the collection that you plan on having five to ten years down the road. 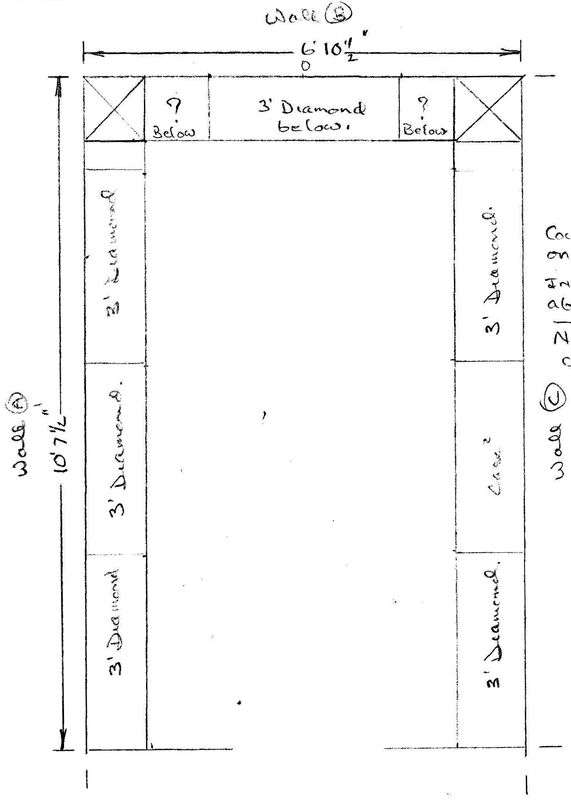 Many people build a cellar only to find out a few years later that their collection has outgrown their cellar, and then they need to build a second cellar, or tear down their existing cellar and start over from scratch. 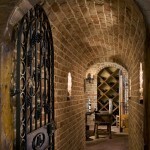 Click here to view our collection of wine cellars. 1How many bottles of wine do I want to store now? 2What is my budget? 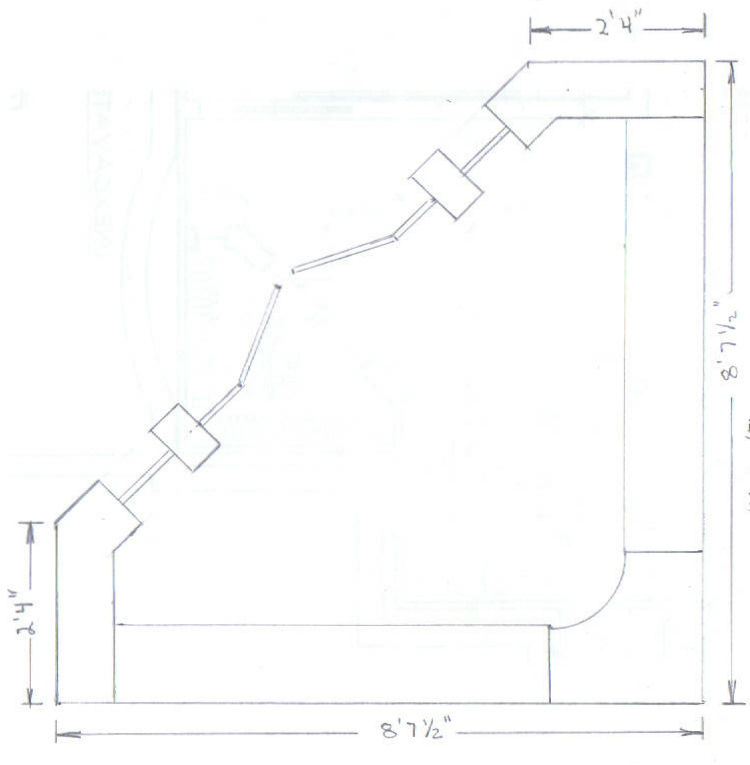 Where do I want to put it? 3How much room do I have to work with? 4Do I want a space for wine tasting? 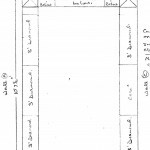 6What kind of flooring do I want? 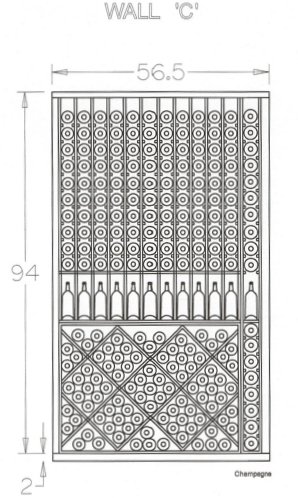 We can design wine storage to fit your home, no matter how large or small the space. 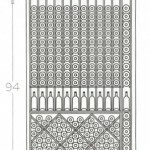 From cabinet inserts to fit in an office, or dining room with room for fifty bottles, to large wine cellars with racks for thousands of bottles our design expertise is at your disposal. 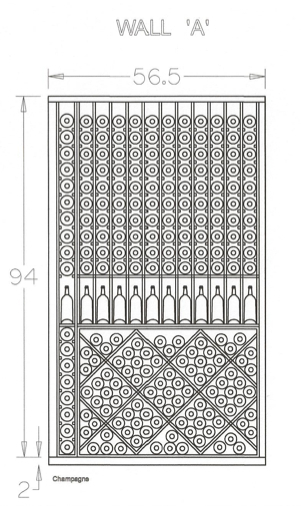 We can design racks to fit your wine collection. Do you like to collect and display cardboard and wooden wine cases? Do you need room for Champagne or Magnum bottles? How about dessert wines? 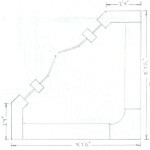 Would you like single, or bulk storage? Do you like to display your labels? 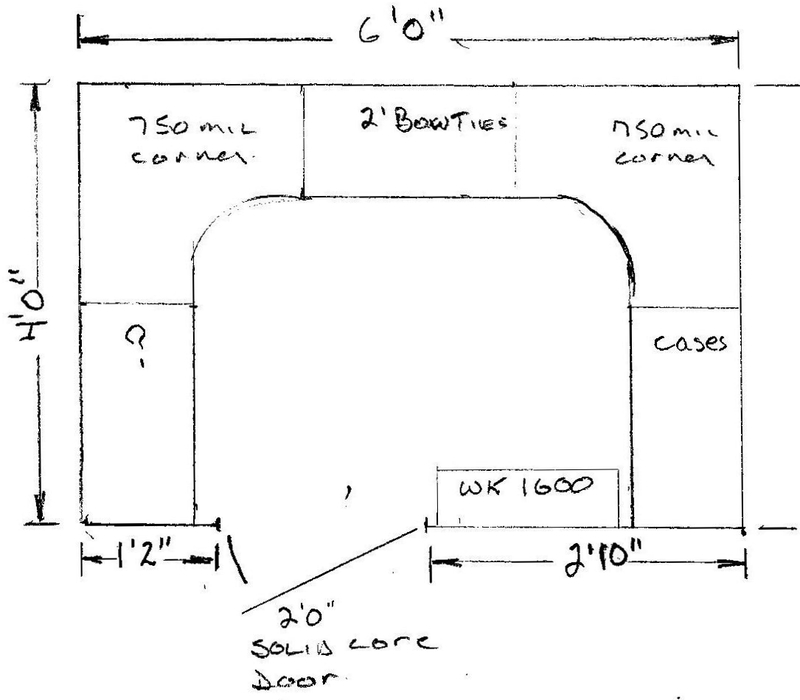 These are all questions we will go through to design a wine room to perfectly fit your needs. 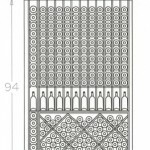 Below is a photograph of Waterfall racks which can artfully display your most treasured wine labels. We use the finest materials for our wine rooms. 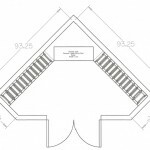 We use a variety of exotic and renewable source lumber to suit your needs. 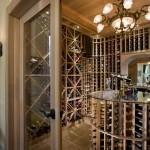 Metal racks can be a cost effective way to create a truly modern look in your wine room. 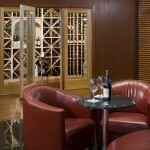 We use LED lighting in our wine rooms. 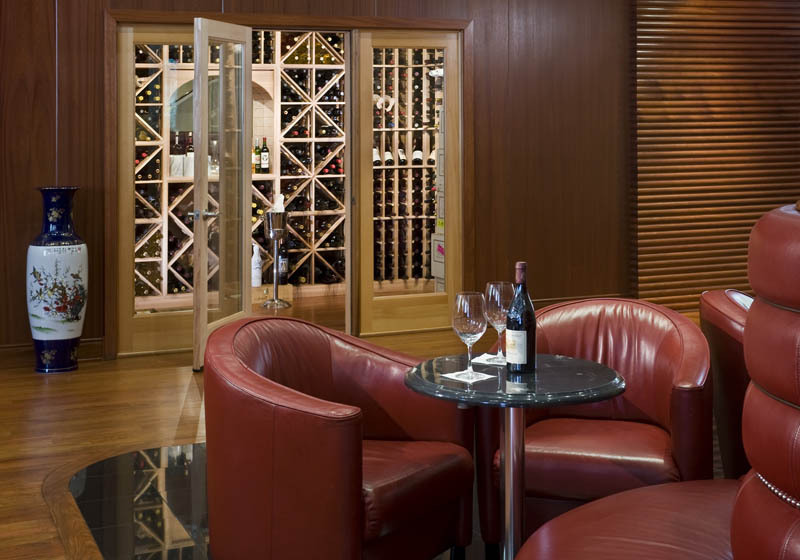 LED lighting is the safest, and most energy efficient lighting available for wine rooms today. LED lighting provides bright lights that do not add any Ultra Violet influence which can degrade wine over time, LED lighting also it does not create heat which can add an extra heat load on your cellar cooling system. 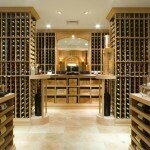 We can design and install flooring to compliment your wine cellar. 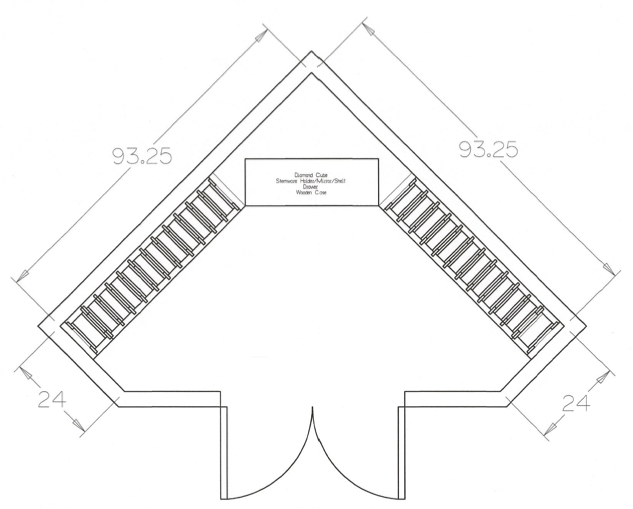 Work with our designers to find the perfect match whether it be stone, wood, or ceramic. 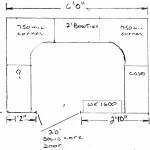 Often we will design and build a small room attached to your wine cellar used for tasting, relaxing, and storage of your wine books, and personal notes. 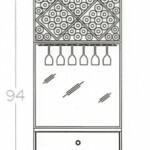 This is a space to be near the wine, to view and appreciate the beauty through a glass wall or window, while not compromising the environmental space and giving you a comfortable place to enjoy your wine. From reclaimed barrel furniture, to custom designed tables and barware, stemware storage, cork saving vessels, aerators, and tabletop wine openers we can help you find everything you need to enjoy your new wine cellar. 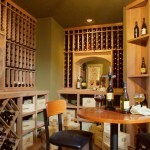 Do you already have a wine cellar in your home and are looking to have some work done? 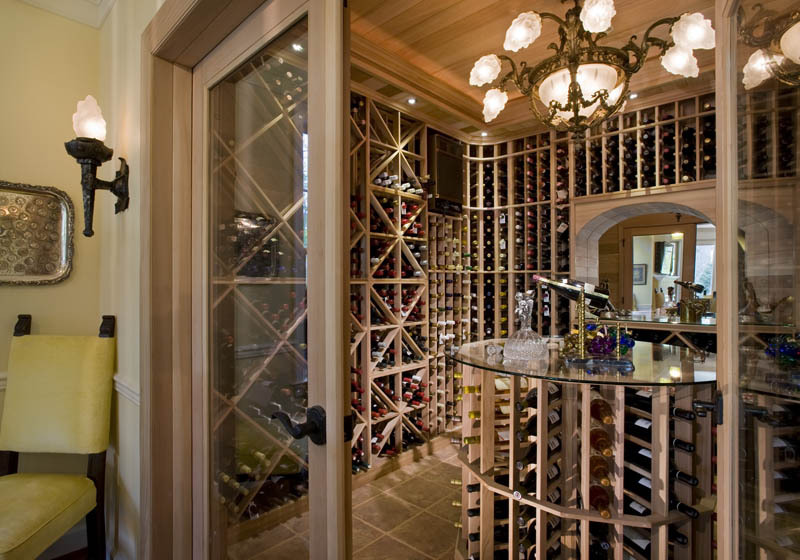 No problem, we service existing wine cellars and have experience working with cooling systems from various manufacturers. 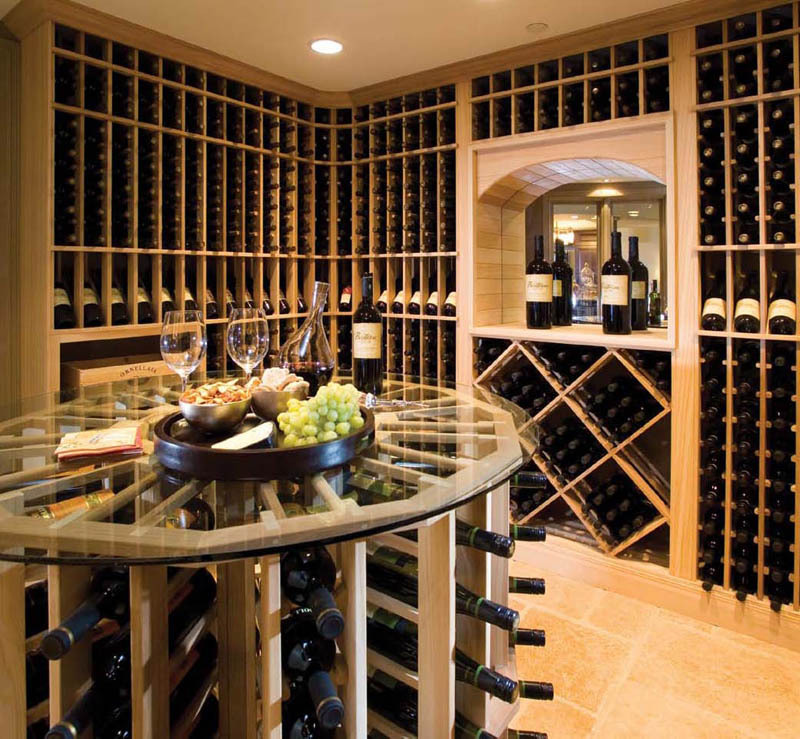 We can help you whether you want to update an older wine cellar, or repair a faulty system. 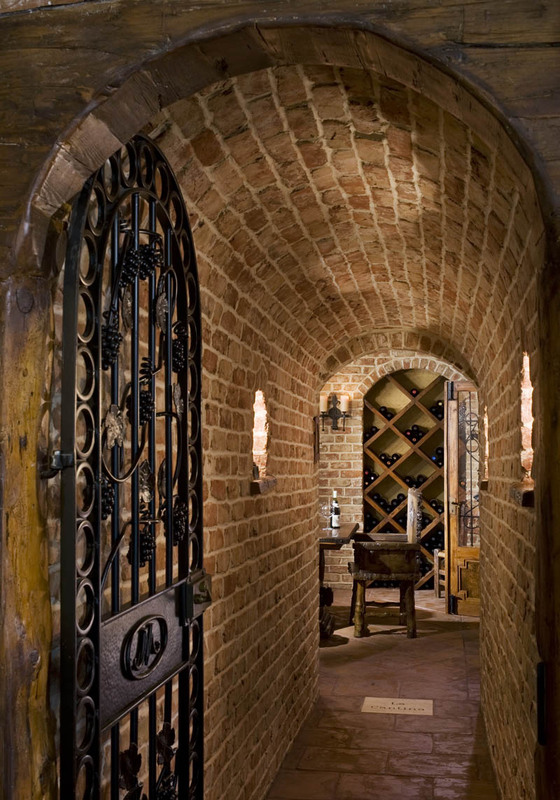 We have experience updating lighting and cooling systems in older wine cellars to be more energy efficient.